I know what you’re saying. 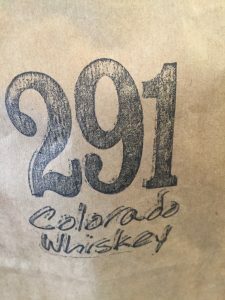 291 Distillery isn’t a brewery! Settle down buddy. Fridays are special occasions and what better way to celebrate a hard week of tasting beers, than by tasting whiskey? 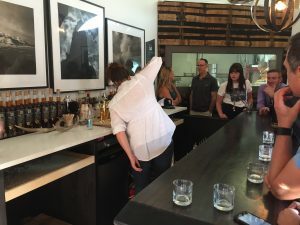 291 Distillery was opened in September of 2011 by Michael Meyers. “Oh behave!” No, but seriously two different people. Meyers, a famous fashion photographer, moved his family here from New York City after watching the towers fall outside his front door in September 2001. With a 7,000 square foot building Pete, Zack, and I were caught off guard by the tasting room which was smaller than the self confidence of a high school girl. The small space was the only thing that we could find that was wrong with 291. The bartenders, distillers, and eccentric bar flies were all very pleasant to talk to and genuinely were interested in holding a conversation with you (if that was possible, there was a lot of whiskey). we are to judge beer, which is not at all. Here are our reviews anyway. 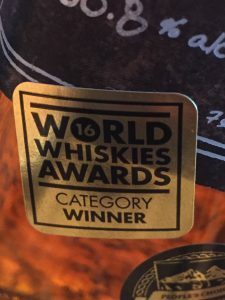 This entry was posted in Blog, Breweries, Community and tagged 291, colorado, colorado springs, distillery, Whisky. Bookmark the permalink.